Traditional Korean society was characterized by a rigid hierarchy. The minority Paekjong were the lowest group of the lowest rank of the shinbun class system, and were treated as outcasts throughout the Choson period (1392-1910). 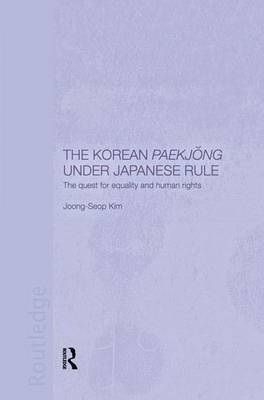 This book deals with their historical and social background, and their struggle for human rights and equality in colonial Korea through the activities of the Hyongpyongsa (Association for an Equitable Society), active from c.1923 to 1935. The Hyongpyongsa was the longest-lasting social movement during the colonial period, and its activities provoked confrontations with fellow Koreans as well as with the Japanese colonial powers. Through analysis of the social environment as well as their actions, this study reveals the complexity of early twentieth century Korea's drive towards modernization.